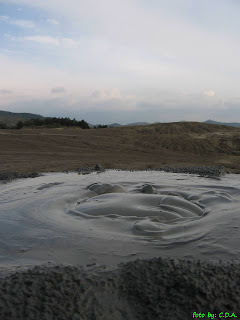 A mud volcano is a geothermal phenomenon consisting in gases and fluids being pushed upwards from depths up to thousands of meters. 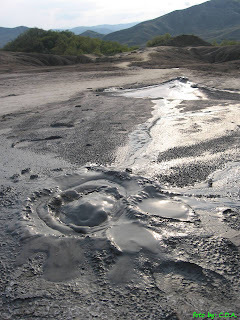 Situated in the Berca commune (Buzău County,Romania), the Muddy Volcanoes are a very rare phenomenon in Europe. 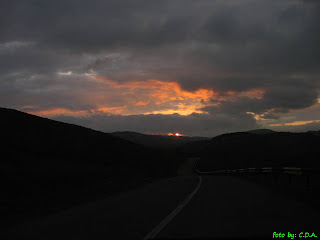 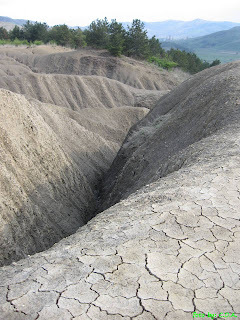 Although rather hard to reach until a few years ago, now they are one of the most visited and photographed landmarks in Romania, easily reached by car. 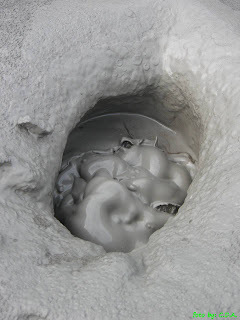 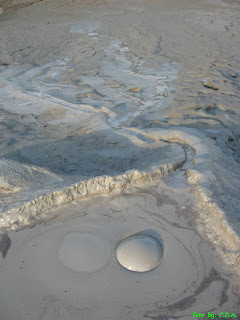 The gasses erupt from 3000 meters-deep towards the surface, through the underground layers of clay and water, they push up underground salty water and mud, so that they overflow through the mouths of the volcanoes, while the gas emerges as bubbles. 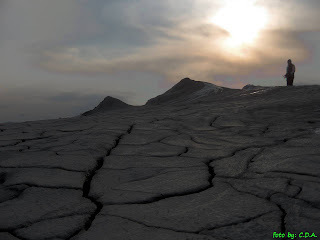 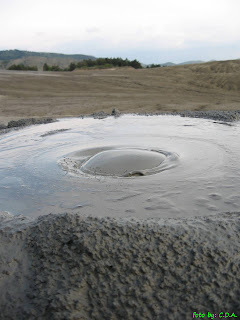 The mud dries off at the surface, creating a relatively solid conical structure, resembling a real volcano. 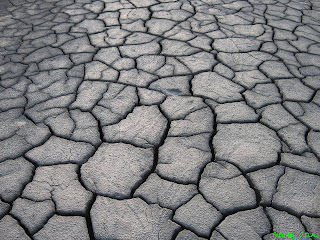 The mud expelled by them is cold, as it comes from inside the Earth's continental crust layers, and not from the mantle. 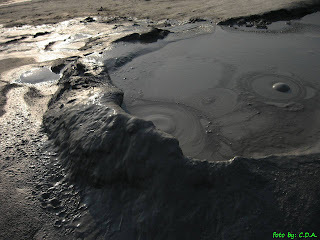 The mud is also salty, smells like sulfur and contains some highly flammable gases so NO SMOKING IS ALLOWED. 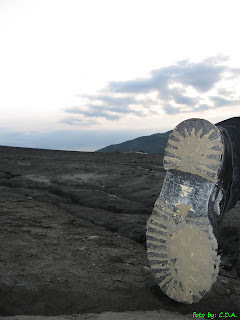 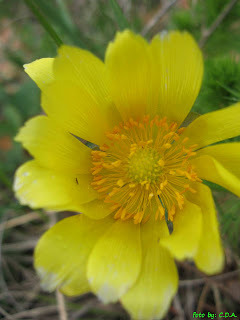 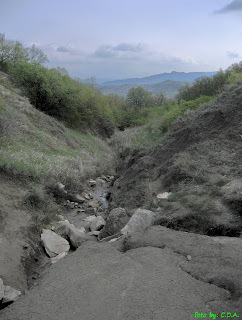 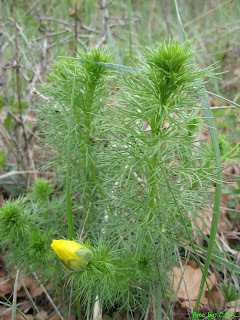 - "Pâclele Mici" - 16,5ha natural reservation (with a very small entrance fee) that hosts besides the smaller conical Muddy Volcanoes two protected species of rare halophile plants : Nitraria Schoberi and Obione Verrucifera. 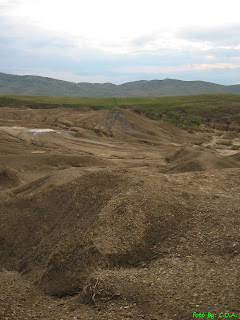 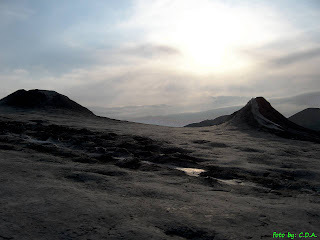 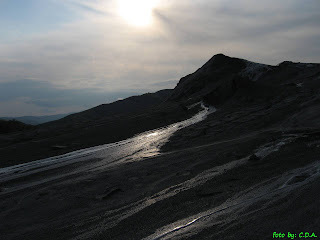 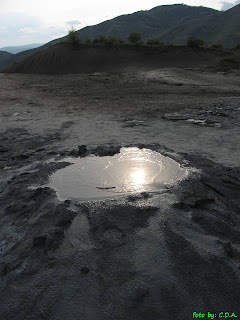 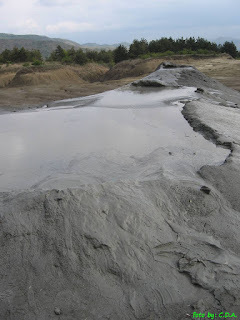 - the volcanoes near Beciu village ("Pâclele de la Beciu") - the smallest of the craters with "boiling" cold mud (the largest crater is 2,5m in diameter and the total area is around 800sq m) . 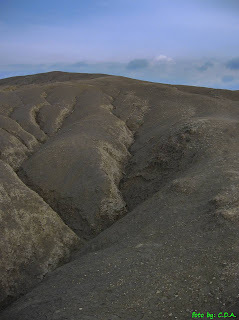 These ones are rarely visited because they are harder to reach, but someone got there.